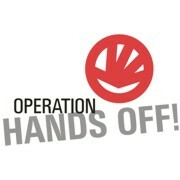 Welcome to Operation Hands Off - Offering the most effective loss prevention programs and strategies available. Please select a category on the left to find the option that meets your needs. Please note for vehicles, powersport, marine and recreational vehicles please contact us to find a participating a dealer near you. For Industrial and many commercial participants, programs are customized to maximize effectiveness and reduce cost. Please call 888.980.1002 or email info@operationhandsoff.com to get a free presentation or consultation to learn how to prevent theft from your organization!